One 14 karat yellow and white gold ring. 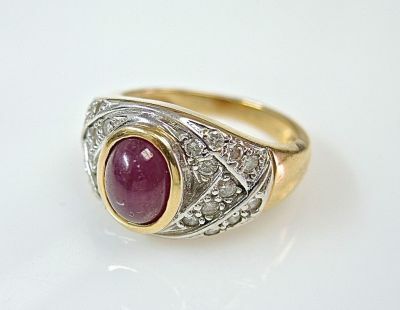 One oval cabochon ruby (2.27 carats). Twenty-two round brilliant cut diamonds (0.50 carats: SI clariy: G-H-I colour).